First Game of Thrones star Emilia Clarke was cast as Sarah Connor in the upcoming Terminator: Genesis, and now Doctor Who's Matt Smith is joining the Terminator film trilogy. But will he be fighting for or against the machines? 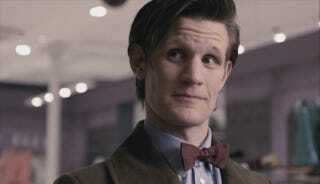 Deadline is reporting that Matt Smith is being cast "in a major role that will grow in the second and third films." A press release from Paramount announces that "Smith will play a new character with a strong connection to John Connor." The cast is filling out with Clarke as Sarah Connor, Jason Clarke as John Connor, Jai Courtney and Kyle Reese, and Arnold Schwarzenegger as the aging Terminator.